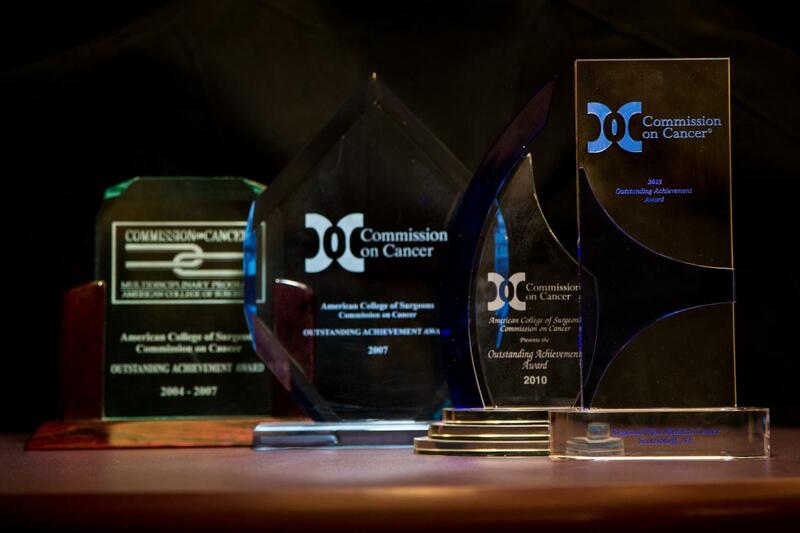 In 2013, The Commission on Cancer of the American College of Surgeons granted its Outstanding Achievement Award to Regional West Medical Center’s cancer program. Regional West’s cancer program is one of 10 cancer programs nationwide to earn four consecutive Outstanding Achievement Awards from the American College of Surgeons Commission on Cancer. Regional West received the Outstanding Achievement Award in 2004, 2007, and 2010, and was among 74 cancer programs nationwide to receive the award in 2013, which represents about 14 percent of programs surveyed by the Commission on Cancer that year. In addition, the Cancer Program received full three-year approval status by the American College of Surgeons Commission on Cancer. “This is a testament to the commitment and cooperation among our caregivers, clinicians, and providers to offer the highest quality and most compassionate care for our cancer patients,” said internal medicine physician Vince Bjorling, MD, chairman of the Regional West Cancer Committee. The Outstanding Achievement Award demonstrates that Regional West meets the highest national standards for state-of-the-art cancer prevention, early diagnosis, pretreatment evaluation, staging, optimal treatment, rehabilitation, surveillance for recurrent disease, support services, and end-of-life care. The Cancer Treatment Center in Scottsbluff and the Dorwart Cancer Care in Sidney, Neb, support Regional West’s full continuum of cancer care. With two locations, residents of western Nebraska and portions of Wyoming, Colorado, and South Dakota have the option of receiving the area’s most technologically advanced cancer care close to home.